Common digestive problems such as gastric reflux (also known as heartburn and gerd) and irritable bowel syndrome (ibs) can cause symptoms such as gas, bloating, stomach pain, or abdominal cramps. The discomfort, and often embarrassment, that result from digestive disorders often limits a person’s quality of life. Ayurvedic treatments can bring relief from these symptoms for the millions who suffer with digestive disorders by restoring harmony to the body, mind, and spirit. Why use ayurveda for digestive disorders? Lifestyle changes have long been recommended for digestive disorders with the goal of decreasing the inflammation of the digestive tract. Ayurvedic treatments are well suited for these diseases because they center on creating balance with our bodies through nutrition and mental and spiritual tranquility. In ayurvedic medicine, herbs, metals, massage, and other products and techniques are used with the intent of cleansing the body and restoring balance. This is believed to help treat illness and promote wellness. Ayurvedic practitioners expect patients to be active participants in their treatment, by making the necessary lifestyle changes. Ayurvedic medicine recommends yoga as a form of exercise to build strength and health. To reduce stress and improve mental energy, ayurveda suggests massage therapy, self-massage, yogic breathing techniques, and meditation. regular practice of these arts will help you lead a healthy and harmonious life. How can ayurveda help with digestive disorders? Ayurveda describes three types of toxins that may build up in the body. The most common type is ama, which is formed when the digestive tract is either weak or overloaded with the wrong foods. If ama is not cleared from the body, it will continue to build and can cause an imbalance of the doshas, or the natural forces at work in the body. when the causative factors of the imbalance are not addressed, the ama can react with subdoshas and create amavisha. Amavisha is the strongest toxin, and it can cause disease. The third type of toxin is environmental toxins, and requires you to eliminate your exposure to the contaminant. A temporary lapse in good dietary habits will create ama. long-term eating habits that are not appropriate for a person’s dosha will cause the development of amavisha. Digestive disorders are related to amavisha, indicated by their chronic nature. The first treatment is detoxification and cleansing of the body. If this is not done, other methods of treatment will not be effective. Detoxification includes therapeutic use of laxatives, enemas, fasting, and cleansing of the sinuses. Diet is the most important aspect of ayurvedic treatment. Certain tastes and foods can either calm or irritate the doshas. After an ayurvedic practitioner determines a person’s dosha profile, a specific diet will be recommended to correct dosha imbalances and to improve health. The heaviest meal of the day should be eaten at midday, and meals should be taken in a calm manner with proper chewing and without overeating to ease the burden of digestion. Causes for most digestive disorders have not been identified, though there is much speculation in the medical community. Suggested causes are allergies, immune system deficiencies, genetic factors, or infections. 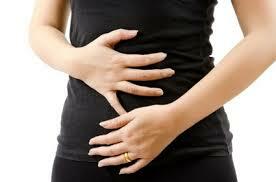 One commonality is that inflammation of the digestive tract is seen in most digestive disorders. Factors that contribute to this inflammation are thought to be diet, stress, alcohol and tobacco use, and being overweight. Ayurveda teachings indicate that the pitta dosha is responsible for metabolism and digestion. Pitta imbalances cause stress-related conditions such as irritable bowel syndrome, heartburn, or ulcers. Better visit a ayurvedic doctor and move forward with proper treatment instead of opting for medicines randomly. hello sir, i have been suffering from acid reflux since 6 months.it came due to intake of ibuprofen.i have heartburn and bloated feeling in stomach with frequent and burning urination. As of now i am taking patanjali medicine ama pattikar churna since 2-3 days.Will it help?…or should i take some other medicine.please recommend me on the treatment and diet procedures. continue with the medicine as suggested by doctor..
audumber avleha syrup…. one spoon twice a day after meals…But mind well you need to be aware in taking your food and avoid taking the food which would harma you and would abandon from getting it cured. So far three members of my family took medications prescribed by you for individual diseases. I got better relief from mixed anxiety disorder. My 5 and half year old son is cured from frequent fever caused by low immunity. My elder sister has got good relief from arthritis. I am obliged to you from deep within as many superspecialists had failed. However,pls could you adv particular medicines for my father or suggest particular panchakarma theropy? My father gets stomach stiff after eating hence causing him to gasp while walking. Sir pichhle 5mah se pet se bahut pareshan hun .main bahut hi dubla patla hun pichhle 2salo se good health ka sewan kar raha hoon .kuchh 5kilo jitna wajan bhi badha par isse agey nahi ,ab jab bhi chhodne ki koshis karta hun to wajan ghatna aur bhukh khatm hone lagti hai,saath hi pechis aur aam girne lagata hai. Is samay aam aur gas se bahut pareshan hun. Pura mal aam yukt hota hai bahut kamjori aur sharir mein dard rahata. Nabhi ke agal bagal aur upar niche kuchh kadak sa mahsus hota hai aur dabane par tez dard uthta hai aur chhodte hi dard khatam ho jata hai ,kripa karke koi upchar batayein. Sir, Mujhe 2.5 Month pahle tak anxiety Problem thi mujhe ye problem last 2.5 years se thi. Maine apke Blog me apni problem shair ki aur apki advice se maine AURVEDIK Medicines lena start ki jisse mujhe 1 month se hi Araam Mahsoos hone laga aur aj mujhe apki medicines lete hue 2.5 months ho chuke hai aur mai ab bahut-bahut achha mahsoos kar raha hoon meri problem 99% solve ho gai hai. Sir mai apni is Problem se bahut tang aa gaya tha mujhe kuchh achha nahi lagta tha mujhe meri JINDGI ekdam barbad lagne lagi thi sach kahoon to mujhe SUICIDAL THOUGHTS ane lage the. Sir mai apka yah ahsaan jindgi bhar nahi bhool sakta kyonki apne meri jindgi END hone se bachai hai. Main bahut se Doctors se ilaj kara chuka tha but kisi ne meri ACTUAL PROBLEM ko find out nahi kiya aur mai har sa gaya tha but apse contact karne ke bad meri jindgi hi badal gai. Mai apka tahe dil se shukriya ada karta hoon and mai apne sabhi friends se ye kahna chahtaa hoon ki ve Dr. Rajesh Shritriya ji ke Blog se juden aur apni problems se chhutkara (rid) payen. Normally, if no specific defect, acidity is genearally due to constipation. U follow the undergiven treatment and respond me after one month. avipattikar tab…. two tab.. twice a day after meals with plain water…..
u can star with fresh cow urine fifteen ml with fifteen ml of lukewarm water before the empty stomach liq. Namaste vaidyaji. my 8 years old child is suffering from stomach ache and whole body ache from last four years. his behaviour is aggressive. he pass stool one or two times a day.doctors say,he has digestive problem. the complain indicate pittavata disorder as well as weakened intestine. Strictly stop giving oily and spicy food ie. chilly specifically at least for ten day and then after start with it in limited quantity. no bread, butter or junk food, maggi, sauce, chips et. strictly. he can have ghee but on chapati or in dal and one cup of milk twice a day with sugar only. For treatment u start with Balchaturbhadra Syrup one spoon thrice a day before meals… Tab Sanjeevanivati one tablet twice a day for seven day and then one tablet everyday after lunch with plain water for at least twenty days. One sankvati tablet after dinner with plain water for fifteen days. Respond me after fifteen days of treatment. I repeat that precaution in diet is more essential than treatment so u need to be more perfect in feeding ur child and not give the advised apathya. u can mail me at rajshrotriya@gmail.com for further updates. My father is 78 years old and farmer.He has removed most of his teeth.Since last 20 years he regularly take Kayam churna. Since last 3 years he can’t digest food well.After having meals his belly gets stiff with gas.He gasps while walking after meals.Now days he has eat less due to this. Excellent post. I was checking constantly this blog and I am impressed! Very useful information specifically the last part 🙂 I care for such info much. I was seeking this particular info for a very long time. Thank you and good luck. hello sir, My mother is suffering from Udar Shool since 1 year. Initially it pain in the below the chest right side but gradually it spread over the whole abdominal and back also. Meanwhile she took lots of English medicine but there is very little effect. Sir, please suggest me in this regard i am much worried. Please help me. I have been suffering from Crohn’s disease last 2-3 weeks as confirmed by Colonoscopy. Currently, I am on alopathy medicine. But I request you kindly to suggest me Ayurvedic remedies, diet and any other yogic therpaies that might help me to overcome this quickly. Thank you so much for your help in this regard. mail me at rajshrotriya@gmail.com with ur general details such as age, ur work, ur daily routine briefly, and taking any medicine if any.